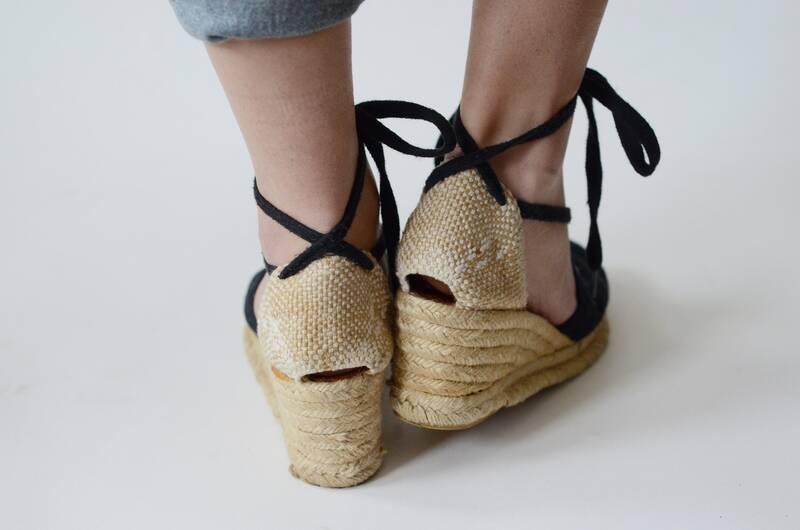 Description: Espadrille wedges, made in Spain. Hard to tell exact age, my guess is these are 90s as the estate they came from had primarily 80s and 90s. 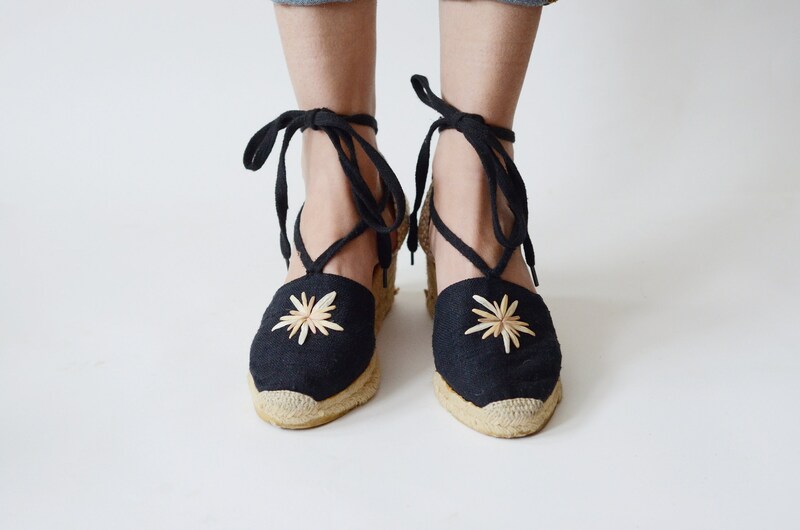 This company has been making espadrilles since the 70s, but these appear a bit newer than that! 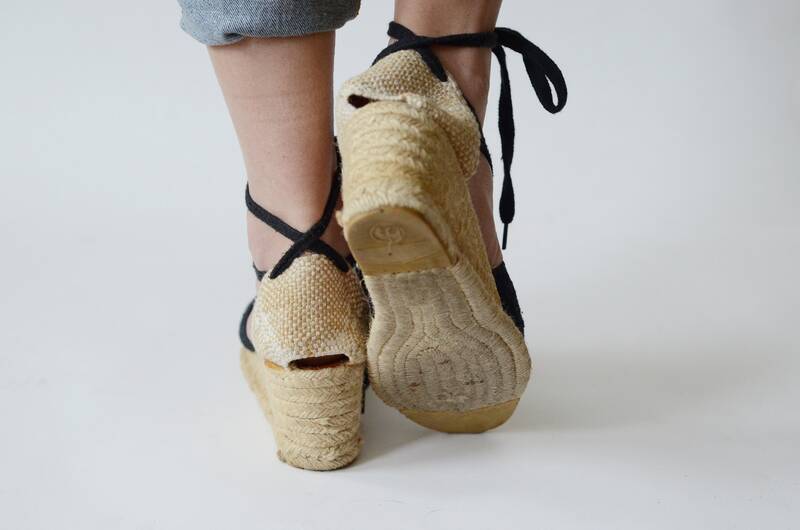 Condition: Great shape, one shoe has some puppy teeth marks on the insole, and a little wear to the rubber sole, but they will perform just fine on your feet!